Congratulations! Your site has been approved to participate in the Facility Overdose Response Box Program. Before you can receive your supplies, it is important that your staff are trained and that your site has reviewed the Overdose Planning Resources. Review the resources below before submitting the final forms below. 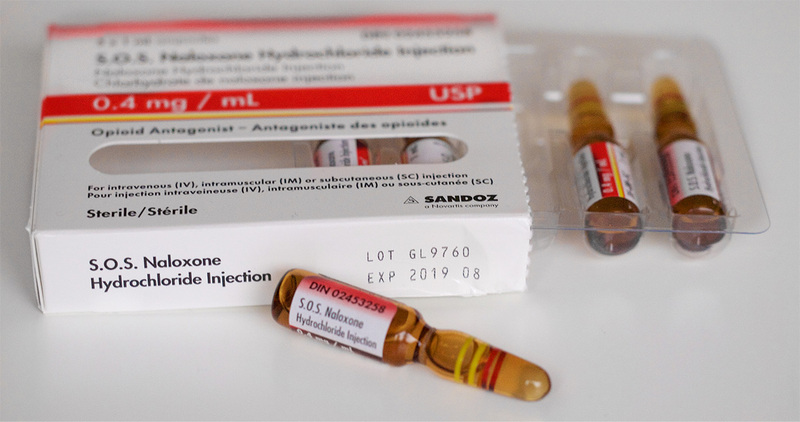 Sample policy document for use by organizations participating in the Facility Overdose Response Box program. Recommendations from the BC Centre for Disease Control for organizations to increase staff resiliency in responding to overdoses at work. A video from Toronto Harm Reduction about designing an overdose protocol for your community agency. Recommendations from Vancouver Coastal Health and Fraser Health for developing overdose prevention and response policies and protocols. Door sign to identify residents of housing facilities that have Take Home Naloxone Kits. Combined Application and Agreement package (all required forms). Submit this form the first time you order F.O.R.B supplies. Received your naloxone supplies? Now that program has been implemented at your site, additional resources are available to help support you. Complete and submit after each overdose response. 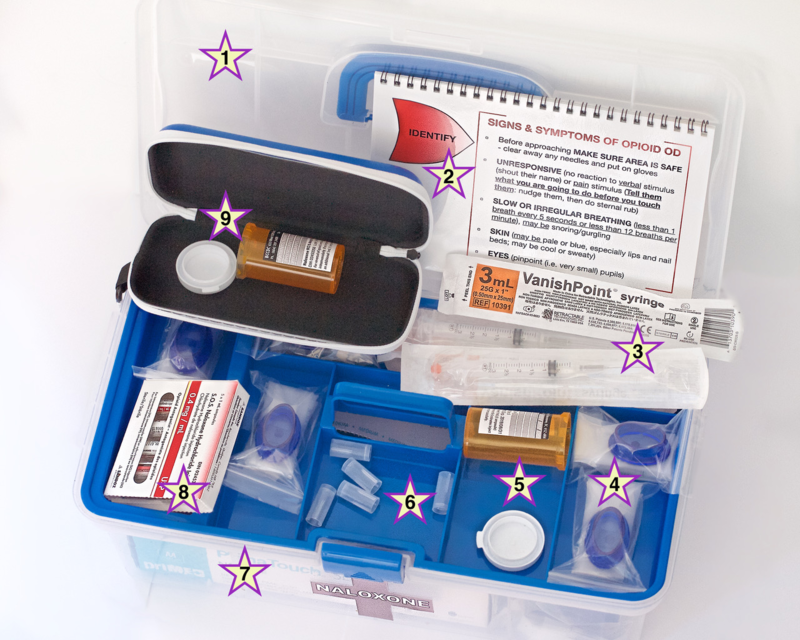 To re-order supplies for your overdose response box or to order training supplies. For proper storage, it is recommended that the ampoules be removed from the box and stored in the amber pill bottles provided. There are also plastic ampoule breakers provided loose in the overdose response box. These breakers should be placed onto the neck of the ampoule to protect hands of staff from broken glass if the naloxone is used. 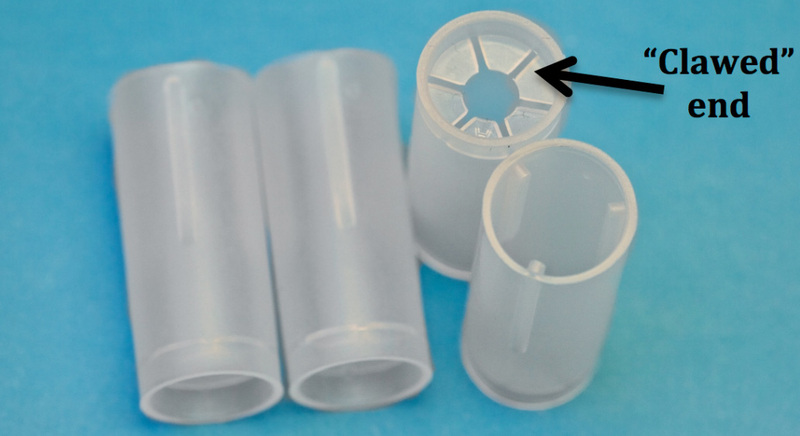 Plastic ampoule breakers are hollow cylinders with 2 different ends - one with "claws" and one without. The end with the "claws" will slide over the "neck" of the ampoule. The neck is the narrower part without the sticker. Slide the ampoule breaker "claws" first, over the neck. Keep sliding until the claws reach the wider body of the ampoule.